I woke up this morning, the forecast wasn’t great, but seeing that it wasn’t actually raining I quickly showered and set off with Mix for his walk. 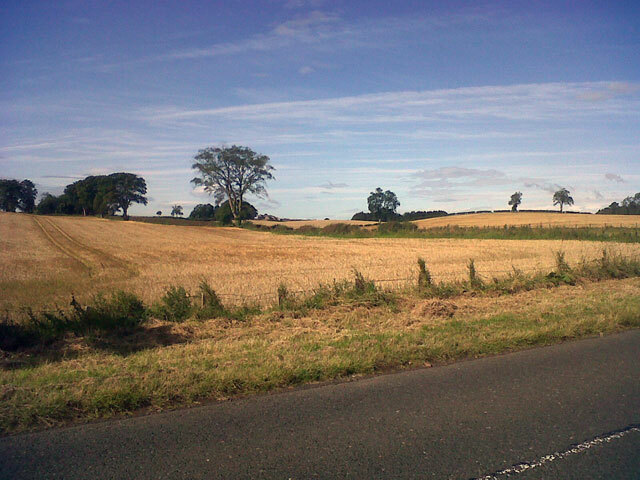 It was actually very beautiful, I didn’t have my camera with me but I did have my telephone and so I took this picture of ‘where I live’. Isn’t it beautiful? I breakfasted in the farmhouse and then went off to the summer house. On Twitter the other day I saw a letter which a lady had written to the papers. While driving she had been listening to an audio book. It was the adventures of Sherlock Homes. Try as she might she couldn’t follow the story – she put it down to her advancing years until later she discovered that her CD player had been set to shuffle and was playing the tracks in a totally random order. I laughed when I read the letter but today that's how I felt that my life had become. I had a very definite idea of what I wanted to achieve today and it mostly centred on completing a roof with just a bit of learning more about Twitter. It just didn’t work out like that. Rachel came to me and said that she needed to have a web-site for her new venture. Now that’s not something that I know anything about. In the past when I have needed a web-site then Andy has been on hand with huge expertise. But I thought I would have a go and by lunch time I had a website domain for Rachel and I had it up and ready to be populated. Mind you, in the interim I had spoken to a firm in Texas who had to change a password to enable me to move forwards but I was on the move. I had coffee as lunch time with David who had been working away on the electrics in the Stables. Tom wasn’t around today and so David decided that he was going to take me in hand and show me Berwick through the eyes of a local. We set off and drove to Berwick via Norham, a lovely village just across the Tweed with a splendid castle to which I will return. 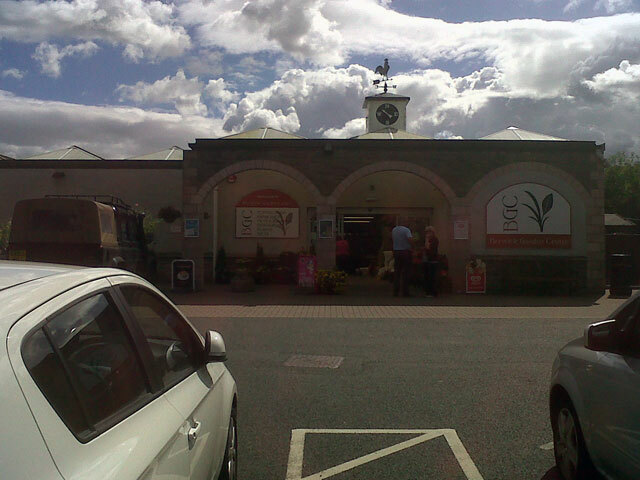 In Berwick we stopped first at the Berwick Garden Centre – I didn’t know that such a place existed -- and again I took a picture with my camera (made worse because the sun was in exactly the wrong place). It was a splendid centre, remarkably large and with a large variety of things to look at. We drove into the town itself and David pointed out so many places of interest, good places to eat and others better avoided. As we walked he met so many people he knew and I was fortunate that it was a market day. 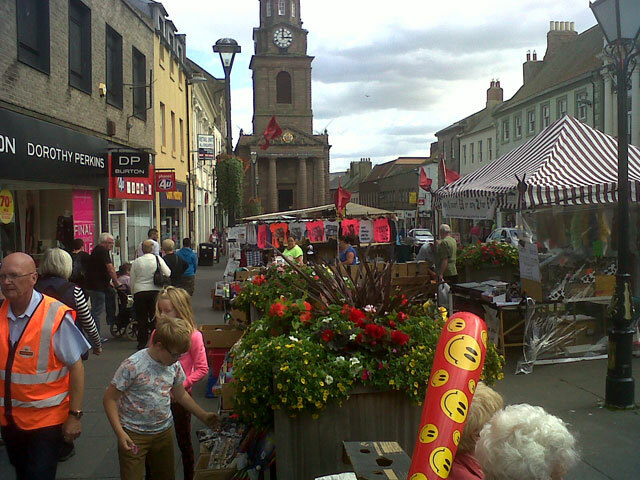 I hadn’t seen the market in Berwick before but it is evidently on every Wednesday and Saturday. On the way home we called in at Home Base and then drove through the grounds of Paxton House before visiting the Union Suspension Bridge. 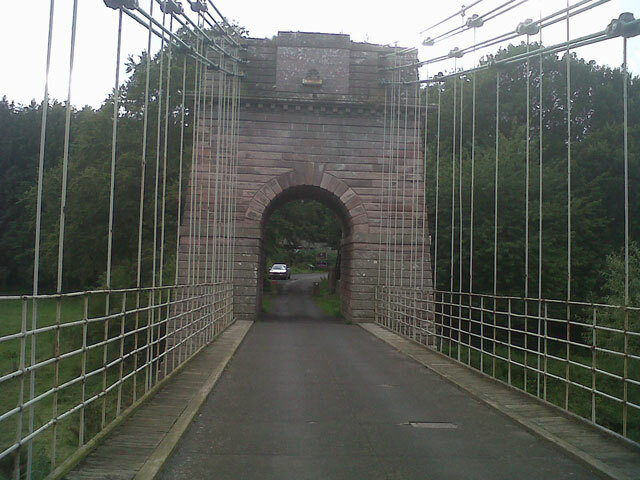 As the plaque which I photographed tells, in 1820 when it was built this bridge over the Tweed between Scotland and England was the longest suspension bridge in the world, now it is the oldest such bridge still in use. So hats off to you, Captain Samuel Brown, for your initiative and endeavour! When the Union Bridge was built in 1820, it was the longest iron suspension bridge in the world. The bridge’s designer, Captain Samuel Brown, developed a revolutionary technique to suspend the deck using iron bars instead of cables. We take easy transport for granted, but in 1820 a round trip to the other side could take days. So the opening of the bridge was a cause for great celebration. On the big day, an excited audience gathered, cramming the banks on both sides. 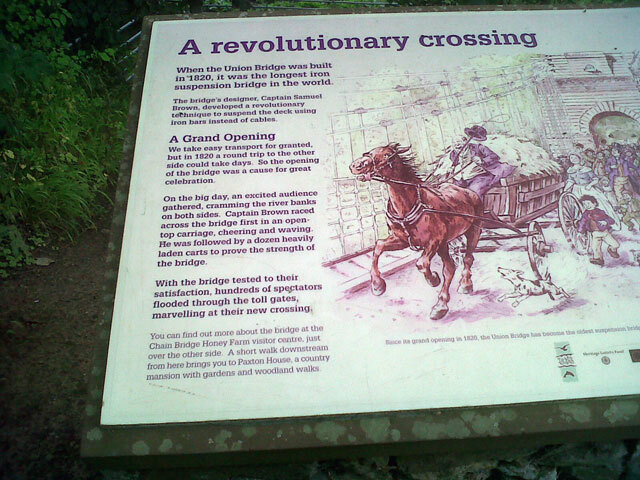 Captain Brown raced across the bridge first in an open-top carriage, cheering and waving. He was followed by a dozen heavily laden carts to prove the strength of the bridge. With the bridge tested to their satisfaction, hundreds of spectators flooded through the toll gates, marvelling at their new crossing. Back home we had some coffee before David returned to his home and Mix and I went for a walk. I did some work on Rachel’s web-site and then joined everyone for supper in the farmhouse. We had bumped into Olive’s friends in Berwick earlier in the afternoon – the rest of the family had a quiet day at Mount Pleasant except for Mum whose friend Elizabeth from Galashiels arrived and they went off together to Pearsons for lunch – you get a good lunch at Pearsons. I don’t know where the evening went. I pottered with the computer and then watched the News before walking Mix and retiring to bed. It has been a grand day, nothing like I expected, but perhaps all the better for that. It is fun to be retired.